« Applying for Observership in USA for IMG? 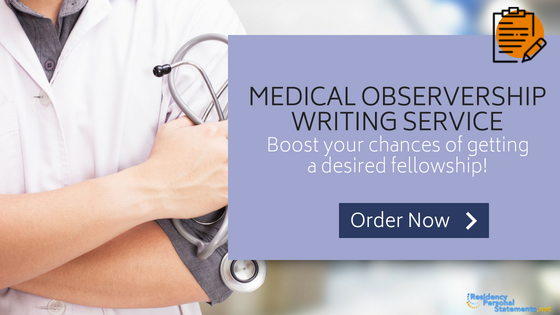 What Is the Purpose of a Medical Observership? There is a lot of application for observership samples you can go through to understand important parts of it, to save your time in this article we will provide you with all needed information. Where Should You Do Your Medical Student Observership? University of Pittsburgh: this program will provide you the opportunity to see what goes on within their Critical Care Medicine department. UCLA: the program will provide you with an opportunity to observe different departments at work for up to three months. Boston Children’s Hospital: part of Harvard medical school you will be able to see just how pediatrics are practiced in the US. Cleveland Clinic: from patient rounds to surgery this observership offers a full round of experience as well as full access to their library and other facilities. Tufts University Medical School: the program offers a four-week rotation and up to two rotations for their program. University of Nebraska Medical Center: for those students interested in neurological sciences the department offers an observership of up to one-month duration. Massachusetts General Hospital: the program offers durations of up to one month across many different areas of their operations. What Do You Need to Apply for a Medical Observership in US? Payment: each program will have a fee and this should be paid according to their needs. CV: they will want a copy of your resume or CV to see where you are in your career. Many also believe that by attending a physician observership or any other type of observership medical or otherwise you will gain an advantage when applying for a residency. This is in some ways true as you will have had the opportunity to already impress the decision makers before you apply for the residency. This is why so many graduates are now trying to gain places on medical observership programs. We are a professional residency personal statement writing service that specializes in all forms of medical residency type applications including your medical observership application. Our experts have many years of experience in providing support with writing application letters, personal statements, resumes and other necessary documentation to help graduates like you gain a place. Our services are all covered by a full satisfaction money back guarantee ensuring that you can order from us with confidence. All work is delivered on time and everything is fully proofread to eliminate errors as well as being carefully checked to avoid any form of plagiarism. Get the placement you are looking for by using our professional services to help you to apply for your selected medical observership!